Make sure that you check for both diving regulations, and also general regulations for diving and boating within the Florida Keys National Marine Sanctuary. Make sure that you know what the big yellow balls mean (Special Preservation Area) because rules change in those areas. 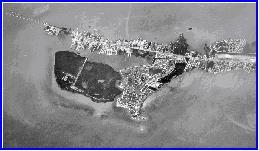 You can visit the NOAA Florida Keys National Marine Sanctuary website for more details.